After the news broke this week that Norm Breyfogle died, I contacted a number of top comics pros and asked them to name their favorite cover by the late artist. Jamal Igle (Artist, The Wrong Earth). 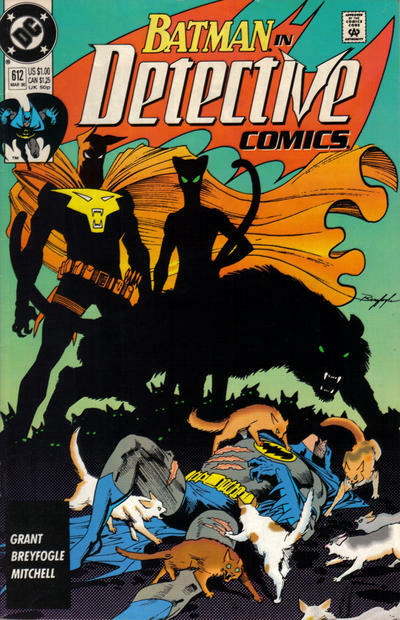 Detective Comics #612. It’s such a great composition. The figure blacks, accented by spot color, forces the eye towards the sprawled figure of Batman and the cats. It’s one of my favorite covers from his run. 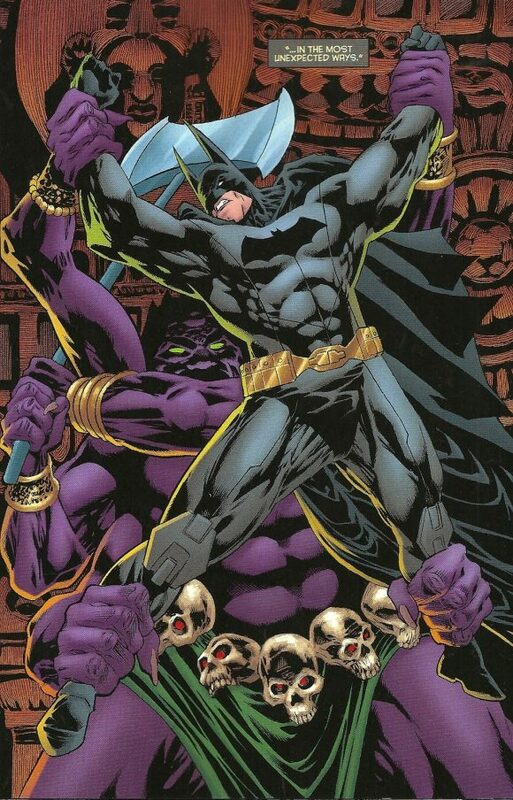 Kelley Jones (Artist, Batman: Kings of Fear). 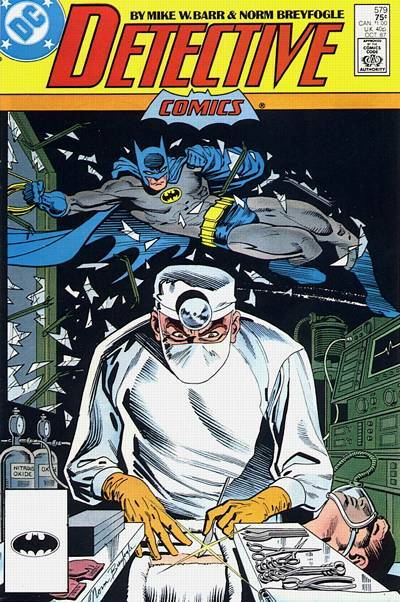 Of the many excellent covers drawn by Norm Breyfogle, I was always struck by the cover he drew for Detective #602. That piece was weird and mysterious, and harkened back to an earlier age of strange Batman stories. Going back to see if this had the same impact on me as it did all those years ago, I found it in fact was better. I know that it was still the kind of cover that I would have grabbed up as a kid, just because it did what a great cover should do — make you want to see what happens on the inside! Norm’s covers did that a lot. Jeff Lemire (Writer, Black Hammer; The Terrifics). 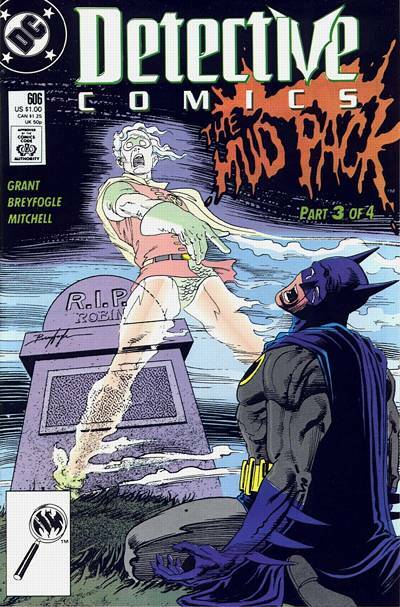 I had a really hard time picking one Norm Breyfogle cover. Truth is, doing a quick Google image search brought up at least a dozen covers that I have a deep sentimental connection to. Norm’s Batman began when I was in eighth grade and at my most impressionable. I tried so hard to draw like him. But no one drew like him. He had a style all his own, which was way ahead of its time. So much energy and movement in his work balanced with incredible use of shadows. 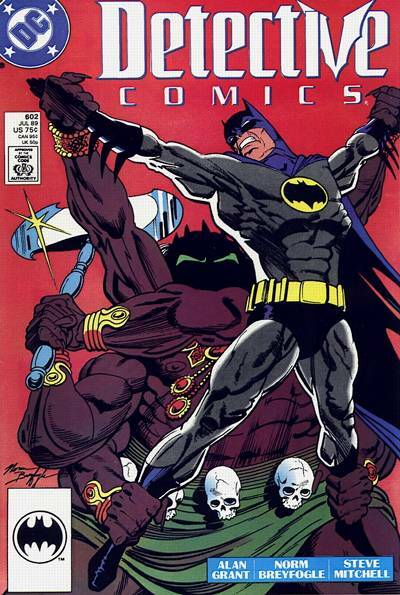 The cover I’ve chosen, though, is Detective Comics #619. It was often easy to forget that Batman was the world’s greatest detective. He could go entire story arcs without actually doing much in the way of traditional detecting. But one look at this cover and there is no mistake. It’s iconic and has beautiful composition, but, as with all of Breyfogle’s work, there is just something intangible at work here. The look on Batman’s face conjures all sorts of things. It’s really beguiling and cool. R.I.P. Mr. Breyfogle and thank you for all the wonderful work and memories. Rob Liefeld (Artist; co-founder, Image Comics). I love this cover to Prime #4. The power and crop of the shot is overwhelming. I am so saddened by both his passing and the fact that I did not know him. Steve Orlando (Writer, The Unexpected; the upcoming Martian Manhunter). 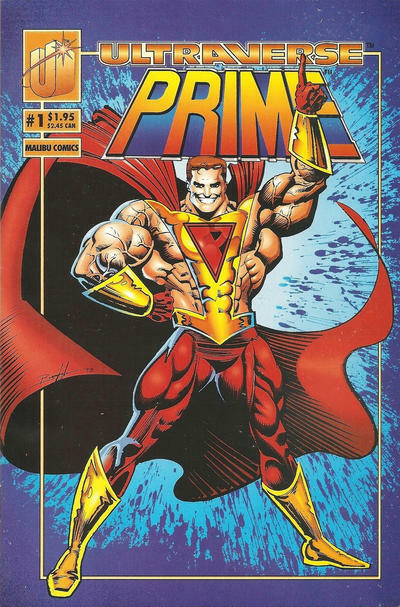 Prime #1 was my Shazam. As a kid, he was my wish-fulfillment character, and that larger-than-life, ripped-from-the-headlines quality wouldn’t have existed without Norm. Tom Peyer (Writer, The Wrong Earth; Editor-in-Chief, AHOY Comics). 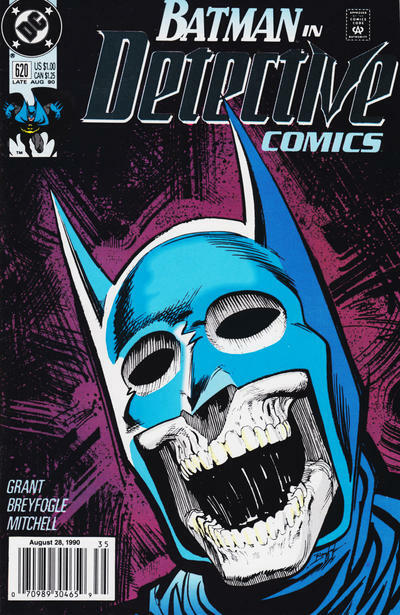 When Norm Breyfogle took over Detective Comics, I immediately became a screaming fan. 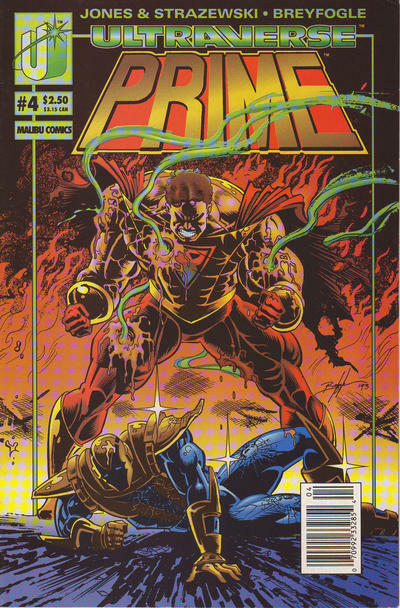 I really love his first cover – Issue #579 — though he did many great ones after. It’s such a perfectly pulpy situation. It could have been a Shadow cover in 1931. Brent Schoonover (Cover artist). So I had been a comic reader for a short time before Tim Burton’s Batman movie had come out. My collection was all over the place. For some reason I didn’t have any Batman comics yet. Once the movie came out though, I was all in on him. I had gotten a special magazine about the history of the character. Trading cards, toys, even a T-shirt. But it took a few months to actually get some comics. I had a little allowance burning a hole in my pocket when we went to our local mall. I walked into the Waldenbooks store and on their spinner rack was this incredible cover that just caught my eyes right away. It was Detective Comics #606. It was the third part of a four-issue story but I didn’t care. I had to pick it up. It has this incredible image of Robin towering over Batman in a way you had never seen him. This creepy yet sympathetic specter pointing his finger at Batman. It was gothic as hell and really clicked with the type of Batman I had just seen on the big screen that summer. Shortly after, I had my dad take me to the comic store about a half hour away and got the rest of the Mud Pack story, as well as pretty much every back issue Norm had worked on. I really loved his draftsmanship and how he handled shadows in the book. I spent many a day at my desk copying panels from Norm’s Batman run. He and Jim Aparo were, and always will be, the artists I think of when I think of Batman. Mark Waid (Writer, Doctor Strange; Archie). I’m going to go with Detective Comics #620. It’s simple, it’s eerie, it tells a story, and I remember it making a strong impression on me when I first saw it. Norm was one of a kind, and he will be missed. 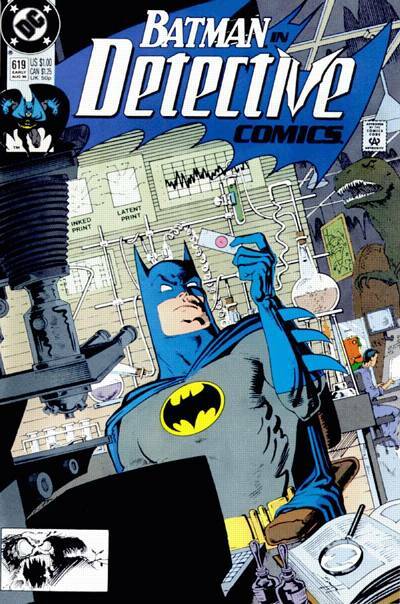 — BATMAN Great NORM BREYFOGLE Dead at 58. Click here. — NORM BREYFOGLE: In His Own Words. Click here.